Admission to this Paint Sesh includes a seat for one, a canvas, paint and instruction on painting this fun painting. 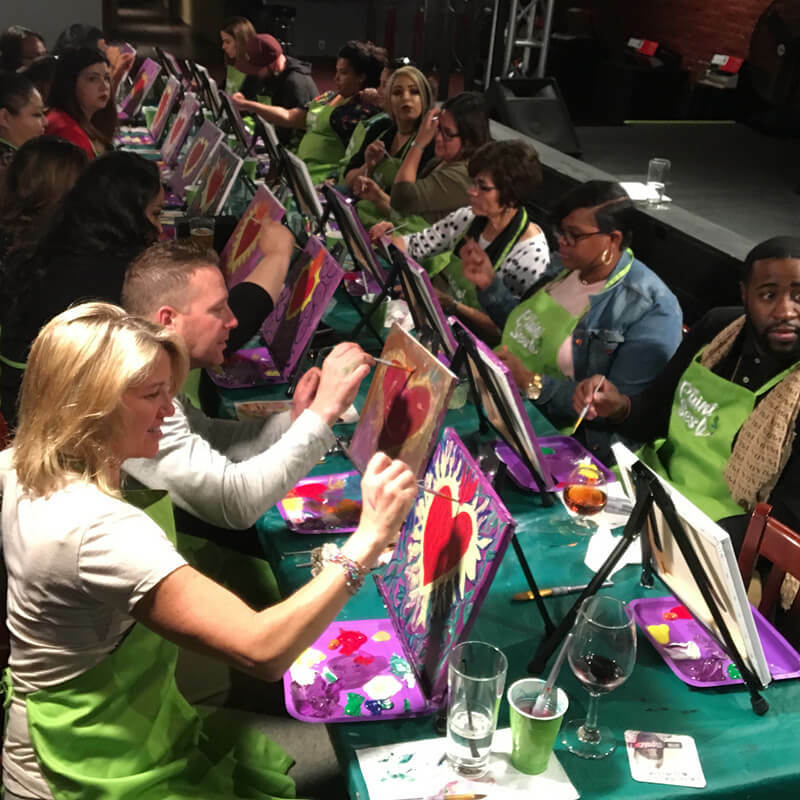 Join us for a fun paint and sip night at Ohana Kitchen & Cocktails in beautiful Sunset Beach, CA. Paint “Underwater Life” with The Paint Sesh. 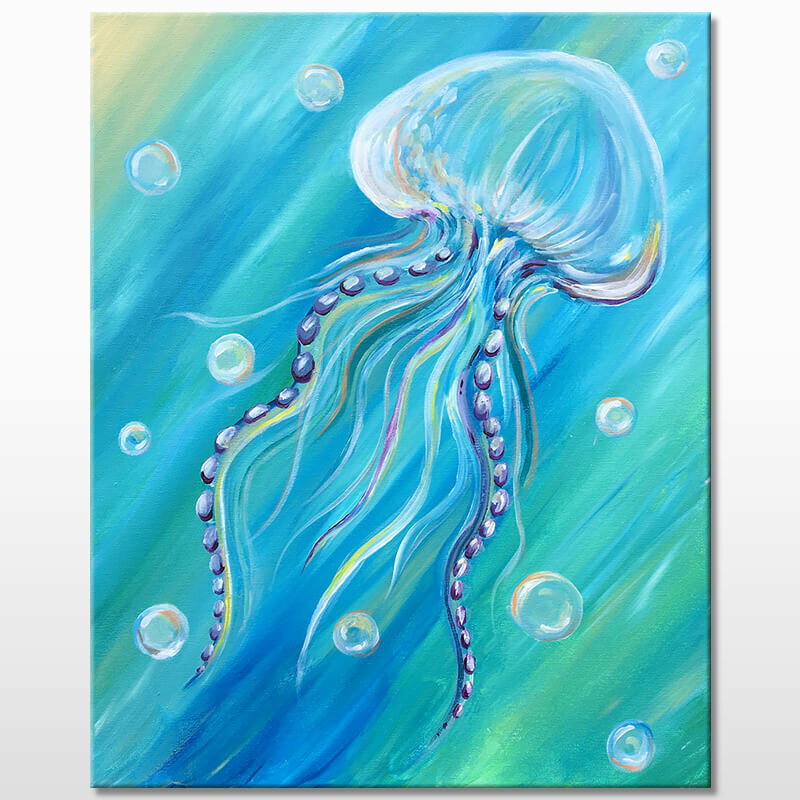 Enjoy a tasty drink from the bar while painting this aquatic themed painting. 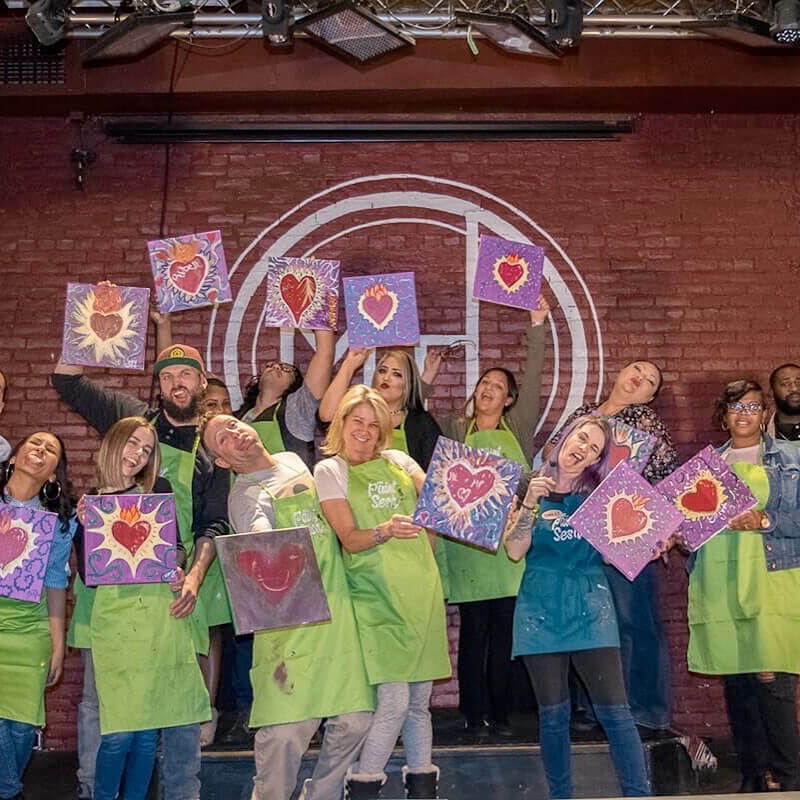 Our instructor/entertainer will guide you and your friends through two hours of lively creativity, drinks and laughs. And lets be honest, art is a form of creative therapy so you don’t have to feel bad for treating yourself a fun night out! No experience needed to have a good time. Just bring a friend or two, grab a drink and we’ll take care of the rest. See you there! Must be 21+ to attend this event. Please note, this is NOT A BYOB event. No food or drink is included with your ticket price, and may be purchased at the restaurant. The painting event will begin promptly at the time listed. We recommend for you to arrive at least 15 minutes before the event to get checked in, get yourself a drink or some tasty apps, and get yourself preferred seating. If you’re coming with a large group of 6 or more, make sure you arrive 30 minutes early to get seats together. If you’re planning to eat dinner before the event (you’ll want to, their happy hour is incredible!!! ), please inform the host/hostess that you’re with The Paint Sesh and check in with us to reserve your seats. Having cash with you is always a good idea. We have souvenirs, (such as enamel pins, stickers etc.) that you can purchase at the event. Or you can help keep your artist from becoming a starving one - tips are not required, but appreciated! on your first regular price event ticket.